Miss Michelle began dancing when she was 3 years old under the direction of Cherie Lawson in Pittsburg, KS. She has trained in the Cecchetti method of Ballet, as well as, Tap, Jazz, Contemporary, and Pointe. 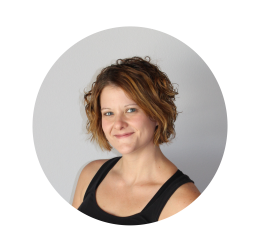 Her love of dance led her to a teaching position for a studio in Pittsburg, KS for 2 years and then ultimately led her to Karen’s Dance Studio. Miss Michelle attended Pittsburg State University and obtained her Bachelor’s Degree in Nursing. She currently works at Freeman Hospital in Joplin as a Registered Nurse. Miss Michelle lives in Carl Junction, MO with her husband and their daughter and son. When her daughter began taking dance lessons, Miss Michelle researched studios in the area and was immediately drawn to the inspiring atmosphere at Karen’s Dance Studio. KDS is thrilled to have Miss Michelle and her passion for dance at our studio. Her enthusiasm overflows to her students and is loved by all. You will also find Miss Michelle working our front desk on Wednesdays.